Lately I have been teaching patients how to juggle. Not only is it a fun way to pass some time and interact with new people, but it allows me a time to teach the patients about the importance of learning new complex tasks and brain development. Until recently it was believed that the brain was solid and unable to change. Fortunately for us, current research has shown that the brain does change even when we are older. The brain is now described as being “plastic” or mouldable. The concept is referred to as neuroplasticity and has great implications for how we address our lives. Knowing that our brain is “plastic”, we have to do proactive things to help it grow and adapt in a healthy matter while protecting it from danger. Some proactive things according to the mentioned studies include practicing hand eye coordination tasks like juggling and active living. They even see brain changes in people that are 70 years or older! The Chiropractic connection is that Chiropractic is focused on the health of the brain and nervous system. So, as you spring into health, remember to do proactive things to grow your brain! 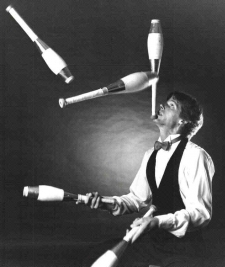 Get adjusted and learn how to juggle! More blogs to read if curious to grow your brain! 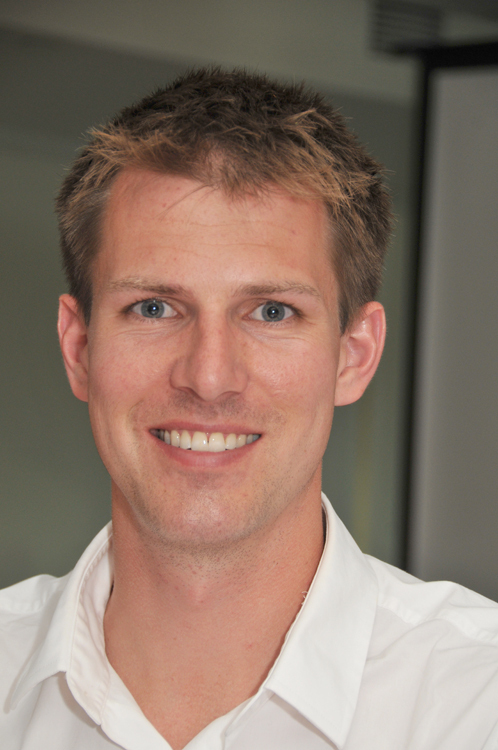 Hi everyone, it’s Dr. Callum Peever from Erin Mills Optimal Health in Mississauga. We’re having a lot of discussions with patients lately about the concept of neuroplasticity or the brains ability to change. Most people thought that the brain only adapted as a kid. It only grew when you were kids, but it does change and adapt when your older as well. Now the studies they’ve done here in the last 10-20 years have shown that when learning novel tasks the brain does make changes to it’s structure. Plasticity or neuroplasticity and the ways they are testing this are teaching people how to juggle. I’m going to teach you guys how to juggle and get off these Ipads and brain challenging apps. You’ve just got to learn some new tasks. Step 1, you can find these on the internet and elsewhere as well, is just throw that ball up to eye level and catch it. Try and do about 10 catches. I’m going to make this look easier now until I get to the part where I’m still learning as well. I’m trying to learn some new tasks. Step 2, get a second ball, throw it up and just catch it. Now your holding that one ball in your finger tips and catching it in the palm. Some people can do this other ways as well. Throw that ball up and catch it, up and catch. Once again do about 10 of these until you feel comfortable. You’re going to keep dropping them. Try and drop the balls on a bed so that you don’t have to keep chasing the balls around and bending down. Once you challenge that on both sides, up, catch, up catch. You’re going to introduce the 3rd ball. But just do the same step you were doing before where you just throw it up and catch it in your palm, up, catch it in your palm. Up catch it in your palm. Now the next and final step is where we start to cascade. So we’re going to throw one up and before we catch it we’re going to throw the second one up inside. Here we go one, two catch and catch. One, two catch and catch. Now once you do about 10 of these without moving your feet. Remember just stare and don’t stare at the balls. One, two your going to throw that third and your juggling. One, two, three and you’re juggling. One, two, three and then you just keep going. The most important part of your body is your brain. So we’re going to keep challenging it and exercising it and doing it through good and healthy ways. Like learning new tasks, and not staring at computer screens. Right now I’m trying the 4 so I’ll try the 4 so you’ll see someone learn a new skill.